With the eminent presence of the internet, people are now relying on gadgets for their day to day tasks. Due to this, the demand for digital marketing services has increased. Businesses have changed their course of action and digital marketing services have completely revolutionized the arena of business marketing strategies. It is a rapidly growing phenomenon that has a promising future in the global business climate. Any communication that takes place between a client and a company through the internet or digital channels is regarded as digital marketing. This includes phone, email, and social media marketing. It can also involve the transaction and other business deals completed through a digital platform. Is Digital Marketing Important for Business? There are a number of companies and competitors out there already working. In order to make your presence known, you need to rely on services and strategies that can give you a prompt response and immediate recognition. For this purpose, many businesses rely on using digital marketing. It is essential for the growth of a business. It allows you to reach a maximum number of potential customers so that you can convince them to buy your services or products. You need to learn ways that can help you in staying relevant. 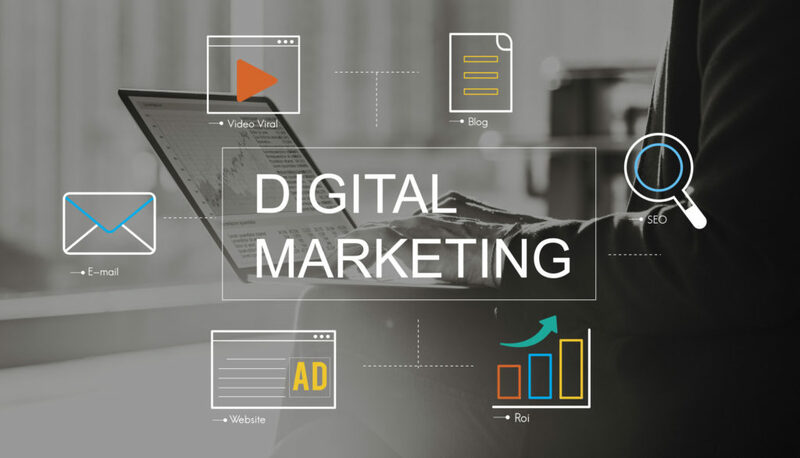 In order to give information, this article is going to introduce you to 5 digital marketing services that you must deploy in your business. There is a high probability that businesses have a limited marketing budget. They have to think about strategies that can help them in gaining maximum customers. For this reason, social media marketing is a cost-effective and versatile strategy. It is the best option for small businesses. Social media advertising helps you in reaching a maximum number of people because users are seen active on social media websites. In addition to this, if they are receptive to your messages, increase brand recognition, increases inbound traffic, and it is cost-effective. With Facebook, Twitter and Instagram marketing platforms you can increase your brand’s worth and target a specific audience. Facebook marketing is used for gaining an online presence but there is a lot that can be achieved using this tool. Create your own website or find the services of a web designer and increase the flow of customers to your site. Having a virtual office would help you in dealing with your clients directly and is convenient to have embedded into your website and accounting programs. This is the first milestone that should be considered when you are developing a business plan. A website will have some basic information about your company and have details of the products and services you sell. You need to focus on the appearance of the site and should hire the services of a graphic design agency. Frequent users of the internet will visit your site and get information about the products and services you offer. Make sure the website is user-friendly as well as mobile friendly. Any complicated steps involved in making a purchase can work against you. Make sure the site is easy to use. Designing a perfect website is just an initial step and you need to focus on words and content that would attract customers, and also rank higher in Google. A content marketing strategy is one of the digital marketing services that could make or break your business. Many people are now familiar with terms like SEO. It is growing at a great pace and has become an integral part of Facebook Ads and Google Analytics. Read more about blog posts and content marketing to learn about its significance in the success of a business. People are now going online for the purpose of information and relying less on TV. For this purpose, you need to be well-versed and know your audience. Hold meetings and discuss strategies and ideas that can help you master your skills in this area. Learning to be engaging with content marketing can help you generate leads and you can also attract potential customers. With the frequent exchange of emails between businesses, you need to choose words, phrases, and graphics that can attract the attention of prospective customers. In such a case, a marketing agency can lend a helping hand. With an appropriate call to action message, you can snap up the attention of your customers who are interested in buying your product. There is a high chance that your customers receive a plethora of emails every day, especially spam. You don’t want to go unnoticed. Your message should stand out. It is one of the most cost-effective methods for the promotion and growth of a business. Make sure you have created a personalized message with interesting graphics. Graphics can be designed for free these days, check out this article on where to find free graphics software for your business. During an expanding digital climate, many companies are moving away from phones, but why? Almost everyone has a smartphone (or two) and are using these devices for both complicated and mundane tasks. You can use this strategy for calling and sending texts to your customers, which may catch their attention more than a post on social media. A text message containing information about your product can be very useful, or discounts you are running for the month. You have to be concise as well as precise for this. Cold calling is an act of calling an unknown person in an attempt to sell your products. It is so useful to call old customers to see how they enjoyed your product, and try and upsell or cross-sell them another product in your range. However, you need to be careful about using this strategy appropriately and wisely. A good marketing company will be able to advise on this. What Have We Learned About Digital Marketing Services? The importance of digital marketing services cannot be denied. These services are essential for the growth and development of your business. In a world that is dependent on digital marketing strategies, you need to make yourself familiar with the changing trends. For this, you can read more about social media marketing and how to use it effectively. The strategies mentioned above can ensure your longlasting presence in a competitive digital climate. Give us a call and see how we can improve your digital presence to give your business the upper hand.